We are very happy to announce that artist Sjoerd Knibbeler (NL) was selected as the winner of the Lucy Art Residency 2019 from over 400 applications to our Open Call. It has now become a tradition and as every year, we have also invited to Kavala for the public program the runner ups, Simone Siapenza (It) and Maria Sturm (Ro). We would like to thank all the artists that applied and the jurors for the amazing job they did in reviewing the portfolios. We are looking forward to introducing everyone to Lucy and Kavala in June! Sjoerd Knibbeler (1981) is a visual artist from the Netherlands, living and working in Amsterdam. He explores the human quest of discovering the world through an associative, process-driven approach to photography. The camera – in one form or another – is always present as a tool in his artistic process, which materializes in printed matter, objects, video installations and artist books. His work was awarded the Grand Prix du Jury Photographie in Hyères, France in 2015 and the same year he was selected as Foam Talent. Since then he had solo exhibitions at Foam Photography Museum, Espace Images, Dutch National Maritime Museum and Villa Noailles. Notable group exhibitions include Quickscan NL#02 at the Nederlands Fotomuseum and the Paris Photo / Aperture Foundation Photobook Awards, which included his shortlisted artist book Paper Planes. His work is part of national and international collections like Maison Européenne Photographie, Villa Noailles, Foam Photography Museum and Museum Voorlinden. Sjoerd Knibbeler teaches at the Utrecht School of Arts and is a member of the international photography collective Piece of Cake. Raphaëlle Stopin a graduate from the Sorbonne Paris (history of art), is a French curator and writer. For the past sixteen years, she has been curator in charge of the photographic section for the Hyères International Festival of Fashion and Photography where she aims to promote emerging photographers and in the frame of which she has exhibited the works of historical figures and names of the new scene Appointed Director for the Centre photographique in Rouen, Normandy in 2015, she builds there an exhibition programme which pays tribute to singular photographic signatures, telling an artistically committed story of our world. She has previously served as guest curator at The Photographers’ Gallery in London, UltraLounge Selfridges, the FNAC Photo Galleries, the Experimental Section of the Photomonth, Krakow, Poland. She regularly takes part in juries, portfolio reviews and lectures. She was appointed art director of the 2018 HSBC Photography prize. 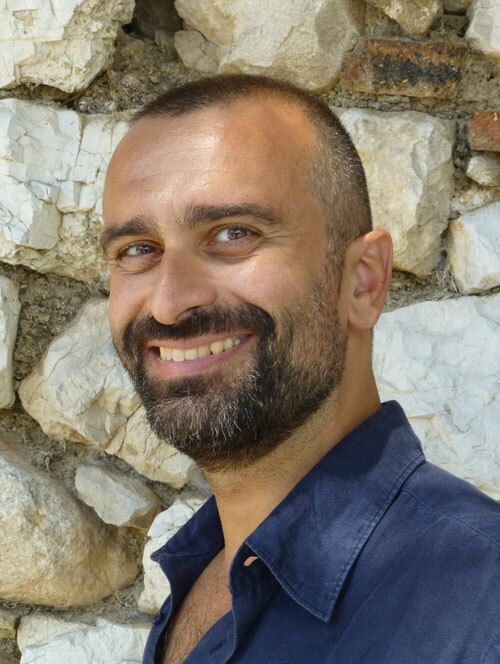 George Manginis is academic director of the Benaki Museum in Athens.He studied archaeology at the University of Athens and at SOAS / University of London, where he was awarded a PhD on the history of Mount Sinai. Since 2001 he has been teaching history of Byzantine art , Islamic art and Chinese art. He has participated in archaeological excavations in Greece, Cyprus and the Sinai. He has worked in the Hellenic Children’s Museum as collections manager and director of resource centre, in the Greek Orthodox Cathedral of Saint Sophia, London as archivist and curator, in the Archaeological Museum of Ioannina as exhibition text supervisor and in various United Kingdom museums as development consultant. In 2013 he was a Stanley J. Seeger Fellow at Princeton University. He has published scholarly articles on Cypriot prehistory, Islamic art and architecture, Sinai studies, Chinese ceramics, and the Greek and Armenian diasporas. In 2016 he published two books: Mount Sinai: A History of Travellers and Pilgrims and China Rediscovered: The Benaki Museum Collection of Chinese Ceramics. Nadine Wietlisbach is the director of Fotomuseum Winterthur since January 2018. She devises exhibitions, publications and other discursive formats in the fields of contemporary photography and art. From 2015 till 2017 she was the Director of Photoforum Pasquart Biel/Bienne, following her post as a curator at the Nidwaldner Museum in Stans, where she was responsible for all contemporary art exhibitions and publications, as well as presentations of the museum’s collection from 2012 till 2015. In 2015, she won the Swiss Art Award 2015 (critique, publication, exhibition section) and was curator in residence at the Museum of Contemporary Photography in Chicago. She also founded the independent art space Sic! Raum für Kunst in Lucerne in 2007. Besides her interest in the diversity of photographic media, she is particularly interested in the rapidly expanding nature of photographic technology and its discourse. to 2014 she was director of the Fotomuseum WestLicht, Vienna. She is an expert in portfolio reviews, lectures on photography and is a member of various juries. They co-run The aSynecdoche Kavala 1+1=3 Workshop together with artists Klara Källstrom and Thobias Fäldt for our 2018 program. Recent publications include: Except the Clouds / Beyond the Mirror / Oscurana / MEAT / The Splitting of the Chrysalis & the Slow Unfolding of the Wings / HUNGER . VOID are Sylvia Sachini, João Linneu and Myrto Steirou . Nikolas Ventourakis is an artist living and working between Athens and London and is the first artistic director of the Lucy Art Residency. He is a non-voting member of the Jury. His practice situates in the threshold between art and document, in an attempt to interrogate the status of the photographic image. Ventourakis completed an MA in Fine Art (Photography) with Merit at Central Saint Martins School of Arts (2013) and is the recipient of the Deutsche Bank Award in Photography (2013). He was selected for Future Map (2013), Catlin Guide (2014) and Fresh Faced Wild Eyed (2014) in the Photographers Gallery as one of the top graduating artists in the UK. In 2015 he was a visiting artist at CalArts with a FULBRIGHT Artist Fellowship and a fellow in New Museum’s IdeasCity.. He was shortlisted for the MAC International and the Bar-Tur Award. Recently he has exhibited in FORMAT Festival, Derby; the NRW Forum, Düsseldorf, the Mediterranean Biennale of Young Artists 18 and the parallel program of the Istanbul Biennale. The Applications for the 2019 Residency are now closed. The Lucy Art Residency 2020 program will be announced on our web page, Facebook page and Instagram in Autumn 2019. What is included in the residency. Albania, Algeria, Andorra, Austria, Belarus, Belgium, Bosnia and Herzegovina, Bulgaria, Croatia, Republic of Cyprus, Czech Republic, Denmark, Egypt, Estonia, Finland, France, Germany, Greece, Hungary, Iceland, Ireland, Israel, Italy, Kosovo, Latvia, Lebanon, Lichtenstein, Lithuania, Luxembourg, FYROM, Malta, Moldova, Monaco, Montenegro, Morocco, Netherlands, Norway, Palestine, Poland, Portugal, Romania, Russia, San Marino, Serbia, Slovakia, Slovenia, Spain, Syria, Sweden, Switzerland, Tunisia, Turkey, Ukraine and the UK. Please note that if the country of origin of the artist is not part of the EU/EEA then he or she will be responsible for securing the travel documents required to enter and stay in Greece during the period of the residency. Why not from more countries? it is only because of budgetary constrains. We are looking into ways of opening up our applications to residents of more countries in the future, but this is still not financially possible for us. Who were the previous resident artists? Follow the links at the bottom of this website. Who were the previous jurors? As above, follow the links at the bottom of this website. I heard/read something about a workshop? 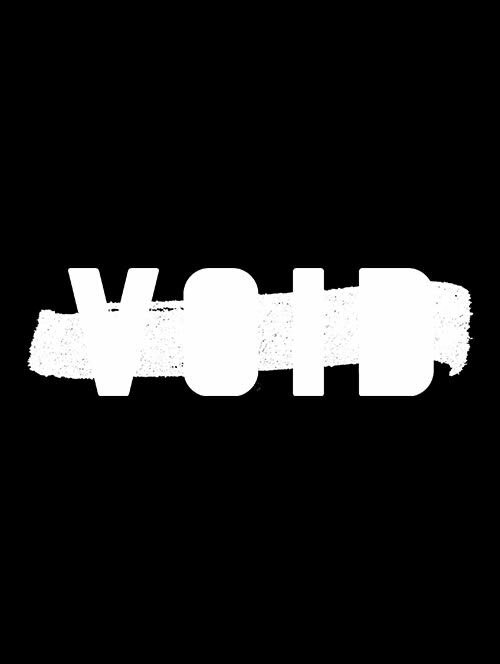 Last year we collaborated in producing a workshop with artists Klara Källström and Thobias Fäldt together with VOID. It was titled “aSynecdoche Kavala 1+1=3”. You can find more information about it following the link at the bottom of this website. There will be a new workshop announced for 2019 in the near future. Application to the workshop will be separate from the residency open call. Following the great success of our first workshop we are very happy to follow up As part of the expanded Lucy Art Residency events program a 2-day CYANOTYPE workshop in the Greek city of Kavala with artist Almudena Romero (SP). Taking inspiration from contemporary artists using the cyanotype process, join visual artist Almudena Romero for an introduction to the historical process of cyanotype printing and learn how to print images on wood, paper, fabric, stone and other materials to produce a variety of image-objects. Suitable for all abilities, this two days workshop is designed so that you will be able to practice independently afterwards. The workshop will take place on the 13th and the 14th of June and the participants will also be invited to be present on the Lucy Art Residency Public Talks on the 15th of June, where a number of their creations will be on display. Application to the Lucy Art Residency Workshop is open to all visual artists working with the medium of photography irrespective of age or educational background. The workshop dates are the 13th and 14th of June. On the 15th, at the Lucy Art Residency Talks, attendance is optional. Almudena together with the LAR team will select and offer 8-12 applicants the opportunity to participate. Half of the places offered will be reserved for residents of Kavala. The fee for the selected participants will be 50 Euros. The deadline for applications is 13th of May, 23.59 GMT. There will be no extensions to the deadline. It is preferable to apply as early as possible. This will allow for us to contact you in case there is any problem with your submission. NO corrections or updates will be allowed after the deadline. The subject of the email should be SURNAME_NAME_WORKSHOP_2019 and the PDF should be titled SURNAME_NAME_WORKSHOP_2019.pdf. If your email or PDF are not correctly titled then your submission might not reach us. We do not accept any other file format nor do we accept multiple PDF files. Any applications that include more than ONE PDF file will be disqualified without notice. 300 words maximum about why you are applying for this workshop. Short Bio (Maximum one page). OPTIONAL : A portfolio section with a maximum length of 10 pages. There is no minimum or maximum number of images. Captions and short descriptions should be included. OPTIONAL : Links to videos/films if relevant to your application. Please do not attach videos. The PDF must not exceed 10mb. All texts must be in English. Almudena Romero is a London based visual artist working with a wide range of photographic processes from early printing techniques such as cyanotype, salt printing or wet plate collodion, to new technologies including 3D scanning and printing. Almudena's practice uses photographic processes to reflect on issues relating to identity, representation and ideology; such as the role of photography in the construction of national identity, or the link between photographic archives and colonialism. Her work focuses on how photographic processes and technology transform the notions of public, private, individuality, identity, memory, and, in general, the concept of the individual. Almudena's works touch on how perception affects existence and how photographic processes contribute to organising perception. Since 2015, Almudena has demonstrated and explained her practice at the Victoria and Albert Museum,National Portrait Gallery, TATE Modern-TATE Exchange, TATE Britain, The Photographers’ Gallery, Tsinghua University Art Museum, the Whitechapel Gallery, Le Cent-Quatre Paris, University of the Arts London, Unseen Amsterdam, and delivered courses and lectures for Mitsubishi Ichigokan Museum, Estorick Collection, Mapfre Foundation, Sotheby's Institute of Art, University of Westminster,Kingston University and Southampton Solent University and London Art Fair. She has also received commissions to produce installations in public spaces from Team London Bridge, Southwark Council, Emergency Exit Artist, Wellcome Trust and University College London, Bow Arts Trust & London Festival of Architecture. Her work has been published in Photomonitor, Radio France Internationale, TimeOut, DUST magazine, EXTRA magazine (FOMU, Foto Museum) and other media. -In order for Participants to secure their place they will be required to deposit 50 Euros within 5 days from receiving their acceptance email. Failure to do so, will result in their place being offered to another candidate. In case of no-shows, the deposit is not returned. -Cancellations are allowed up to 2 weeks before the workshop start date and half the deposit will be returned. For cancellations after this cut off point the whole deposit will be forfeit. -The Participants have to make their own arrangements for traveling and accommodation if they are not residents in Kavala. It is suggested that they arrive to Kavala one day before the beginning of the workshop, on Wednesday the 12th of June. -The working language for the workshop will be English. This avant garde and ultra-modern hotel opened on April 1st, 1976. With its 217 rooms and the grand reception areas, it added an unprecedented impetus to the city’s tourism scene. 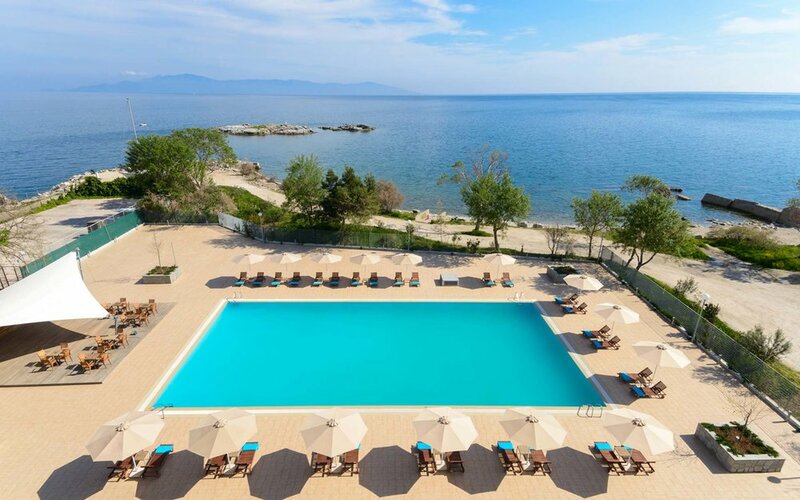 For more than two decades, the hotel was a point of reference for the tourism of the Kavala prefecture and the broader region. The 1990s left their mark on LUCY hotel: the war in Yugoslavia, which disconnected the road connection of Kavala to Central Europe, and the general decline of the prefecture with the transfer of the main development projects to the neighboring prefectures of Thrace. In 2006 the company’s management decided to launch a complete renovation project and upgrade the hotel to 5 stars. The goal was to transform Lucy hotel into a luxury, modern unit, that provides the easy comfort and functionality of modern 5 star hotels, at the same time retaining is older classical chic glamour. At the end of the 2007 summer tourism season, the renovation works started and they were completed in spring of 2009. The central design concept for the new Lucy was to preserve the simple modernism which is characteristic for the avant-garde for its time building, and the 60s aesthetics, with strong interventions of modern structural applications.